The winter months are quiet as I prepare the garden for spring and await the first blooms of the season. It is always a challenge to keep the vases filled until the garden starts to produce flowers for cutting, so I often use dried or artificial flowers this time of year. 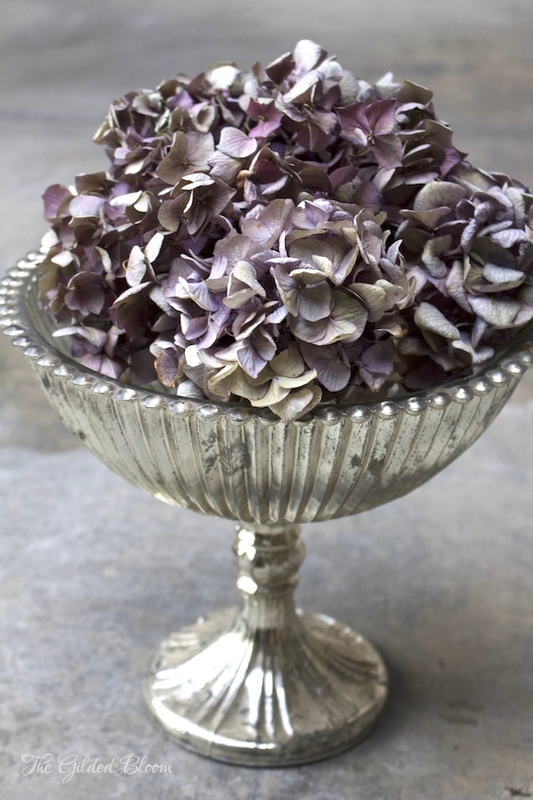 Dried hydrangeas are elegant when placed in wide vases or bowls and provide soft color and texture. They are simple to preserve during the summer by cutting the blooms and placing them in a vase of water until the water evaporates and the flowers start to dry. 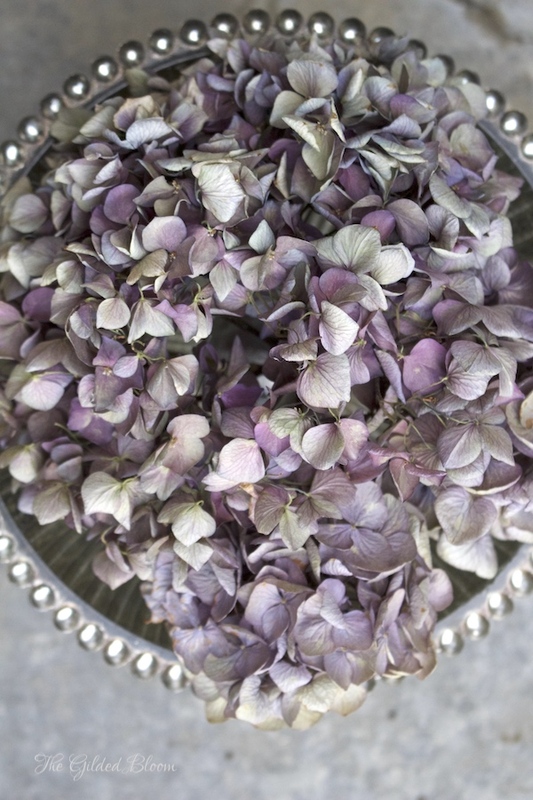 Fresh blooms, as shown in the photo below, can also be made into wreaths which will dry and last through the winter. 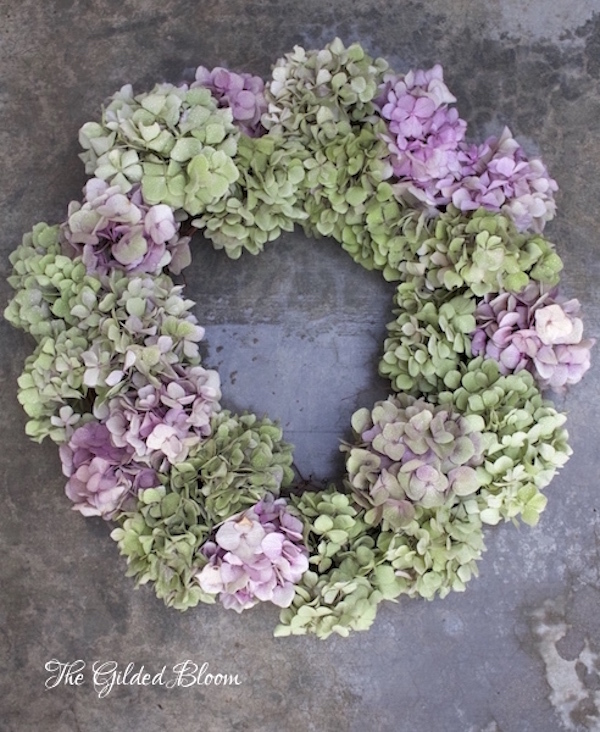 See the post about "How to Make a Hydrangea Wreath" for instructions. I have used them for centerpieces as well as wall decor.